The Department of Mammology and Breast Surgery at the PAN Clinic on Neumarkt, headed by Prof. Dr. med. Mathias Warm, specializes in the individual prevention and treatment of breast diseases. The department also offers the whole range of the latest technical methods. In addition, the specialists of the department regularly conduct a training on self-examination of mammary glands "MammaCare". The main goal of the Department of Mammology and Breast Surgery is a careful prevention and diagnosis of tissue changes and successful treatment of diseases with the use of high-end methods and many years of experience. 1986 - 1992 Medical Faculty of the Ernst Moritz Arndt University Greifswald. 1992 - 1994 Trainee Doctor of the Department of Gynecology at the Stralsund Hospital. 1994 - 1997 Assistant Physician of the Department of Gynecology at the Stralsund Hospital. 1996 Doctorate in the Department of Gynecology at the Stralsund Hospital, Academic Hospital of the Ernst Moritz Arndt University Greifswald. 1997 - 2000 Senior Physician in the Department of Gynecology at the Municipal Hospital Wolfsburg. 2002 Facultative further education: "Special surgical gynecology". 2003 Qualified KV Instructor: Ultrasound diagnostics of the mammary gland. 2003 Mammary sonography, DEGUM II. 2003 Head of the Breast Center, University of Cologne. 2004 Deputy Head of the Department and Polyclinic for Obstetrics and Gynecology at the University of Cologne. 2005 Authorized person with the right to further training/retraining in the framework of an optional program for advanced training in Special Surgical Gynecology. 2006 Seminar Leader of DEGUM, additional qualification: drug therapy for cancer, focus: Gynecologic Oncology. 2009 Professional Auditor for Breast Centers in NRW. 2009 Habilitation at the Medical Faculty of the University Hospital Cologne. Subject: "Individualized clinical therapy concepts for breast cancer patients based on the prediction of the response to neoadjuvant chemotherapy". 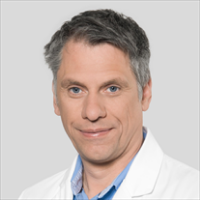 Since 2010, Chief Physician of the Breast Center Holweide, Clinics Cologne gGmbH. 2011 Mammary sonography, DEGUM III. 2016 Visiting Professor of the University of Cologne. German Society of Gynecology and Obstetrics (DGGG). DEGUM, Working Group on Mammography. Lower-Rhine-Westphalian Society for Obstetrics and Gynaecology. Board Member of the Northeastern German Society of Gynecologic Oncology (NOGGO). German Society for Plastic and Restorative Surgery. FRANKA e. V., women after cancer. Breast Cancer Association (Brustkrebs Deutschland e. V.), Member of the Advisory Board. Member of the Scientific Advisory Board of the Control Panel "Mortality Evaluation within the frameworks of the German Mammography Screening Program" at the Federal Office for Radiation Protection. Department of Mammology and Breast Surgery.